Jeanetta A. (Miller) Skvoretz, 100, of Whitehall, passed away June 4, 2017. She was the loving wife of the late Michael J. Skvoretz. Born in Allentown, she was the daughter of the late Grandville and Amy (Nelson) Miller. 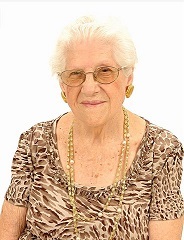 Jeanetta retired as a credit manager from Sears-Roebuck Co. in 1972. She was a member of St. John the Baptist Slovak Catholic Church. Jeanetta was a former member of the Pioneer Fire Co Auxiliary and the Rose Bowl Seniors in Allentown. Son- Robert P. and wife Betty L. Skvoretz of Whitehall; 6 Grandchildren; 11 Great Grandchildren. She was predeceased by her son- Michael P. Skvoretz. A viewing will be held on Thursday, June 8th 9-10AM with a service to follow at 10AM all in Kohut Funeral Home, Inc. 950 N. Front St. Allentown, PA 18102. Burial to follow in Greenwood Cemetery, Allentown. Contributions can be made in her memory to the American Heart Assoc. care of the funeral home. Ethel M. (Gerhard) Spengler, 94, of Port St. Lucie, FL and formerly of Allentown, passed away May 23, 2017. She was the loving wife of the late Earl Spengler. Born in Whitehall, she was the daughter of the late Charles and Mary (Mai) Gerhard. 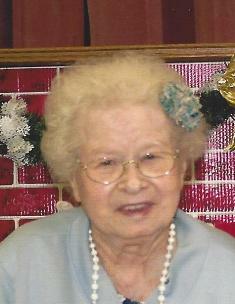 Ethel retired as a sewing machine operator after working for various sewing companies, such as Allen Sportswear, for over 35 years. 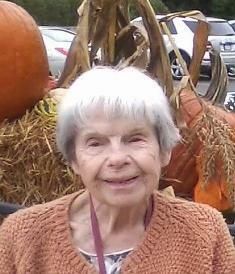 She was a member of Salem United Church of Christ. Ethel took great pride in her family, raising her children, helping with her grandchildren and watching their families grow up. She will be deeply missed. Daughters- Linda Sterner and husband Hal Jandrisevitz of Port St. Lucie, FL and Rita Keiser and husband Bob of Kunkletown, PA; Grandchildren- David Anderson and wife Karen of Bethlehem, PA, Michael Sterner and companion Loretta of Fort Pierce, FL, William Spengler and wife Stephanie of Whitehall, PA, Danny Sussman and wife Sharon of Los Angeles, CA, Thomas Spengler and wife Eileen of Wittmann, AZ, Richard Sterner and wife Rosalba of Surprise, AZ, Dawn Sterner and companion Dean of Honey Grove, PA, Cynthia Sargent and husband Robert of Stroudsburg, PA, Timothy Keiser (predeceased); many Great and Great Great Grandchildren. She was predeceased by her son- Ronald Spengler and sisters- Marcella Palmer, Bernadine Minnich, Cordelia Gerhard and Dolores Gerhard. Services will be private for the family at a later date. Arrangements care of Kohut Funeral Home, Inc.
Peter Skimbo of Whitehall, died January 24, 2017, at Holy Family Manor, age 90. He was the husband of the late Ann Marie Skimbo, who passed away Oct 26, 2002. They were married 47 years. Born in Hazelton, PA, Luzerne County, he was the son of Conrad and Anna Skimbo. He was a graduate of Hazelton Senior High school, Class of 1944. During his senior year he enlisted into the US Army Aviation Cadet Program, the usual 2 year college requirement was waivered. 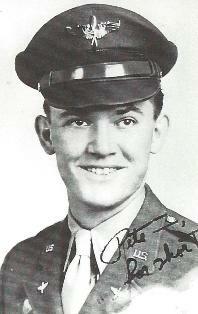 He was a US Army Air Force Veteran of World War II. The Benefit of the G.I. Bill gave him 3 years of higher education at Duquesne University, Pittsburgh, PA, towards a BA Degree in Philosophy. He was an engineering assistant and draftsman with the Curtiss-Wright Aero Engineering Plant in Woodridge, NJ. He was a draftsman with Almetco and Olen Mathuson, an Aluminum Extrusion Plant in Nesquehoning, PA. After 21 years of Drafting service with Mack Trucks, Inc. Allentown, PA he retired June 1986. He was a member of St. Michaels Rythenian Byzantine Catholic Church, Allentown, PA for 40 years. He was also a member of St. Michaels Ukrainian Byzantine Catholic Church, Hazleton, PA. He was predeceased by brothers Nickolas and Michael and a sister Mary. A viewing will be held Monday 9:30-10AM with a Funeral Service at 10AM in Kohut Funeral Home, Inc. 950 N Front St. Allentown, PA 18102. Interment to follow at Calvary Cemetery in Drums, PA, Luzerne County. Contributions can be made in Peter’s name to Carmelite Monastery in Center Valley, care of the funeral home. Stella S. (Slota) Smerek, 97, of Center Valley, passed away December 2, 2016 in Sacred Heart Senior Living. She was the wife of the late Frederick Smerek. Born in Lansford PA, she was the daughter of the late Metro and Katie (Wilizko) Slota. Stella retired from General Electric after 30 years of service. She was a member of St. Marys Ukrainian Orthodox Church. Brother- Gene Slota of Surprise, AZ; Sister- Mildred Wilburn of Henderson, NV; Many Nieces and Nephews. She was predeceased by her siblings, Mary Kalady, Anna Bechtel, Kathryn Slota, Julie Slota, John Slota, William Slota and Walter Slota. A viewing will be held Thursday 9-10AM in the church, with a Funeral Service at 10AM all in St. Marys Ukrainian Orthodox Church 1031 Fullerton Ave Whitehall. Burial to follow in the parish cemetery. In lieu of flowers, donations can be made in Stella’s memory to the church care of Kohut Funeral Home, Inc.
Bernard S. Stano, Sr. 88, of Whitehall, passed away October 22, 2016. He was the loving husband of 66 years to Louise A. (Reck) Stano. Born in Allentown, he was the son of the late Victor Stano and Theresa (Zatko) Stano. Bernard served in the U.S. Army from 1946-1948. He retired in 1985 from Western Electric after 35 years of service. Bernard also taught the accordion in Allentown and Bethlehem. He was a member of St. John the Baptist Slovak Catholic Church. He was also a member of the former St. John’s Club and the American Legion Post #567. Bernard enjoyed bowling and was a devout Phillies and Eagles fan. A viewing will be held on Wednesday 9-10:30AM in Kohut Funeral Home, Inc. 950 N Front St Allentown. Mass of Christian Burial will be celebrated Wednesday at 11AM in St. John the Baptist Slovak Catholic Church 924 N. Front St. Allentown. Burial to follow in Our Lady of Mt. Carmel Cemetery, Whitehall. In lieu of flowers, donations can be made in Bernard’s memory to the church. Anna V. (Vastyshak) Schaffer, 92, of Allentown, passed away August 25, 2016 in her home. She was loving wife of the late John P. Schaffer. Born in Footedale, PA Fayette County, she was the daughter of the late Metro and Anna (Kerbal) Vastyshak. Anna retired from the AT&T, the former Western Electric, and was member of the Telephone Pioneers. Anna was a member of the Protection of the Blessed Virgin Mary Greek Orthodox Church and St. Mary’s Ukrainian Orthodox Church. Daughter-Patricia and husband Richard Zavilla of Florida; Grandchildren- Craig and wife Mary Zavilla of Utah, Kara Zavilla and husband Bryan Kearney of Media, PA; Great Grandson- Braden Zavilla. A calling time will be held on Wednesday 9:30-10:30AM with a Funeral Service at 10:30AM in Kohut Funeral Home, Inc. 950 N. Front St. Allentown, PA 18102. Burial to follow in St. Mary’s Ukrainian Orthodox Cemetery. In lieu of flowers, contributions can be made to Protection of the Blessed Virgin Mary Greek Orthodox Church. Robert J. Soha, 87, of Allentown, passed away August 17, 2016. He was the loving husband of 63 years to Mildred (Mazurek) Soha. Born in Old Forge, he was the son of the late John and Katherine (Wozniak) Soha. Robert served in the U.S. Army (Special Forces) during the Korean War. He retired as an accountant from Fuller Co. and then from Dual Temp Fuels. He was a member of St. John the Baptist Slovak Catholic Church. Robert was also a member of the NRA, participating in many shooting sports with the NRA and 4-H, and enjoyed Tai Chi. Wife- Mildred Soha; Daughter- Nanette Busolits and husband Jaime of Allentown; Son- Robert Soha of Allentown; Grandchildren- Shawn and wife Theresa Busolits, Jill Busolits. He was predeceased by his brothers- John and Steven Soha. A viewing will be held on Tuesday 9-10:30AM in Kohut Funeral Home, Inc. 950 N. Front St. Allentown. Mass of Christian Burial will be celebrated Tuesday at 11AM in St. John the Baptist Catholic Church 924 N. Front St. Allentown. Burial to follow in Resurrection Cemetery, Allentown. In lieu of flowers, donations can be made in Robert’s memory to the church. Josephine A. (Karash) Sokalsky, 95, of Allentown passed away July 28, 2016. Born in Plainsville, she was the daughter of the late Joseph and Alice Karash. Josephine and her late husband Joseph had owned and operated Court Restaurant for 15yrs and then she worked for Americus Hotel. She was a member of St. Marys Ukrainian Orthodox Church. She enjoyed sewing and crocheting. Survivors: Son- Joseph and fiancé Debra Bower; Sister- Cora Rickard; Sister-In-Law- Annette Karash. She was predeceased by siblings- Alex, Genevieve Brishcar and Eleanor Hoffert. A viewing will be held Tuesday 9:30-10AM with a service at 10AM in Kohut Funeral Home, Inc. 950 N Front St. Allentown. Burial to follow in the parish cemetery.